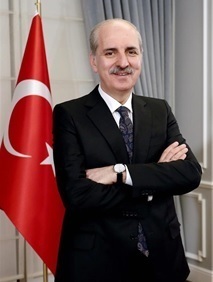 The new Minister of Culture and Tourism of Turkey, Professor Dr. Numan Kurtulmuş, has announced his strategic vision of increasing travel and tourism as the engine for improving relationships between countries and cultures. As the country’s tourism industry begins to recover, Kurtulmuş has set a target of 50 million international visitors to Turkey by 2023. While that goal is expected to generate $50 billion in economic impact, Kurtulmuş said the most valuable result of increasing tourism is forming the foundation for a stronger global community through the better sharing of ideas and values between cultures. “Few countries have as wide a variety of tourism and cultural attractions as Turkey, including – and, perhaps most importantly – it’s figurative and physical position as a bridge between East and West that embraces visitors from across the globe,” he said. Turkey has already made progress towards its goals this year, with tourism to the country up 14.05 per cent during the first six months of 2017, and up by 36.53 per cent in June this year compared to June 2016. Over the last three years the Ministry has seen the potential of social and digital media channels and has been working on social and digital media marketing campaigns with the likes of Google, Facebook, Twitter and most recently Lonely Planet and Matador Network on a collaborative campaigns via www.hometurkey.com. Turkey is now the second most popular destination on social media with just over six million followers globally. “Turkey is one of the most diverse destinations in the world, with a richness of history, archeology, gastronomy and geography from the Mediterranean to the Black Sea, combined with art and culture that spans the ages yet is at the forefront modern innovation,” added Kurtulmuş.